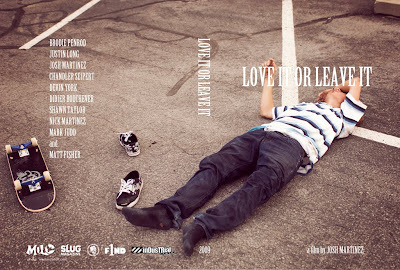 LOVE IT OR LEAVE IT, a skateboarding film by Josh Martinez, is premiering in Salt Lake at the Tower Theater on Monday the 23rd at 7:00 p.m. Everyone should come out and support the local skate scene. The movie has some incredible skateboarding. Obvious standouts and personal faves include Devin York, Matt Fisher, and Brodie Penrod. 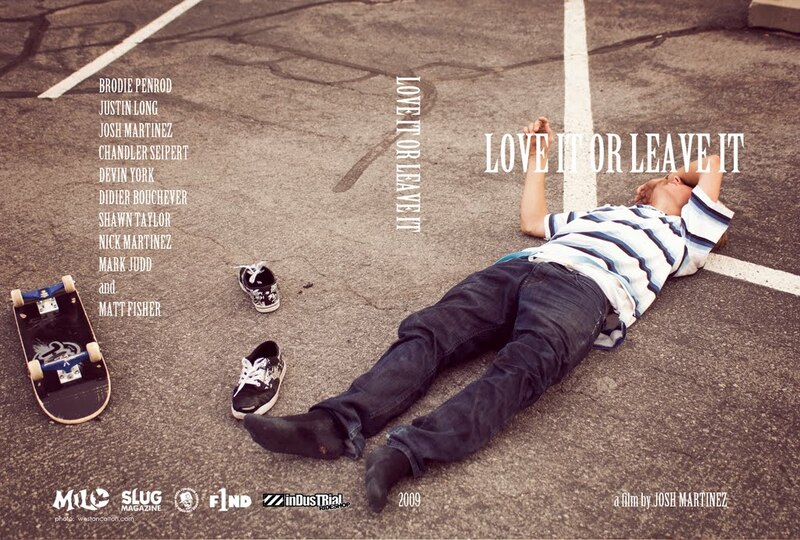 Josh asked me to design the DVD cover, and this is what he got. The photo wraps from front to back as one image. (use your imagination). Well done on the cover - covers baby! Covers! dang, i want to see this bad. the cover looks awesome man. i hope to make it tonight, even though i went to the first one i want seconds this video is sick.